Its has been some time since my last post cuz i have been away on holiday. 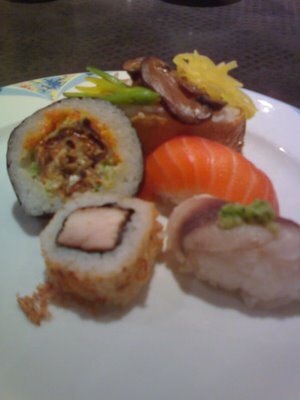 This time, d pics were taken @ Kampachi Japanese Restaurant, Equatorial Hotel, Bangi. The weekend buffet here is actually quite good @ an affordable price! RM63 per pax & half price for children. Word of advice... if you want to get a place, come early cuz d restaurant is usually pack! Although it may not be top notch japanese food, what i like bout this place is the quality of food and the huge variety of it! ASSORTED SUSHI... You can find just bout any type of sushi here! From unagi to crabfish rolls to the beautiful pinky salmon! Kampachi also ensures that their sushi are always fresh to serve! I have gotta admit... d sushi is nice... but best is not to stuff urself too much on this! 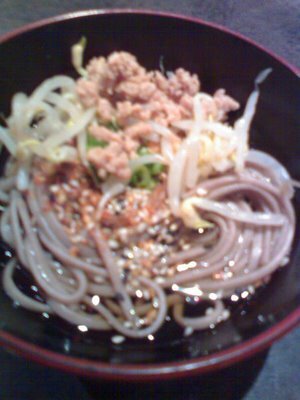 Next one up is self served SObA.... plenty of things to add into from sesame seeds, minced meat, chili peppers to bean sprouts etc etc.... hmm...not bad. One of my personal favourites! This is quite plain but decent. The add-ons on top of the plate are crispy anchovies and fried oysters... YUMMY! 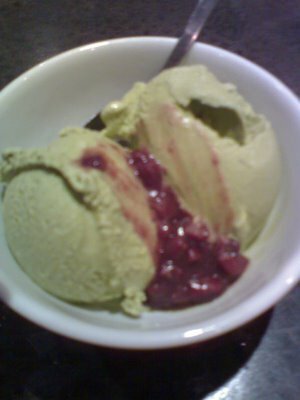 Last but not least, macha ice cream topped with red beans! My favourite of all desserts! YummY! Cant wait to get back & have some! These are only few pictures taken.... there are actually lotsa food there! 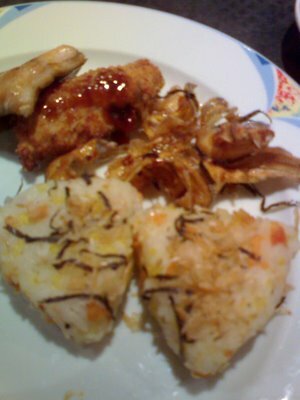 From sukiyaki to the basic but delicious tempura... grilled unagi, garlic rice and lots more! Summary: good experience at a good price! dun u reckon dat japanese food are simply gorgeous? Time for japanese food galore!